Miramar Veterinary Centre is a two-site 100% small animal first opinion group located in the coastal towns of Sheringham and Cromer in Norfolk. Practices with Chicken Vet status specifically cater for the needs of chickens, fancy fowl and small flock keepers. They will provide specialist knowledge on keeping your flock in tip-top condition. The practice cares for companion animals such as cats, dogs, rabbits, guinea pigs, ferrets and hamsters. Protecting your pet and your pocket. Plans typically include flea and worm treatments and can help towards the cost of lifelong medications. Spread the cost and save money on your pet's essential routine healthcare with the Pet Health Club. 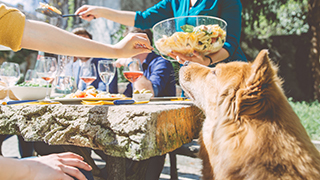 To make sure your pets stay safe during your summer BBQs, take a look at our top tips! 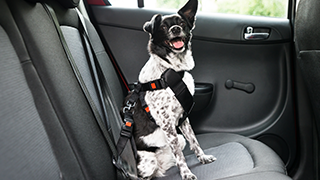 There may be some things you don’t know about driving with your dog in the car, especially when it comes to safety! 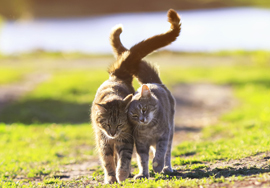 Keep your pets happy and healthy during the spring with our top tips! 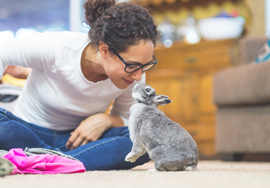 Rabbits as pets: is a pet rabbit right for me? It’s better to make an informed decision before you welcome a new pet to your home. Here are some things to know before buying a rabbit.